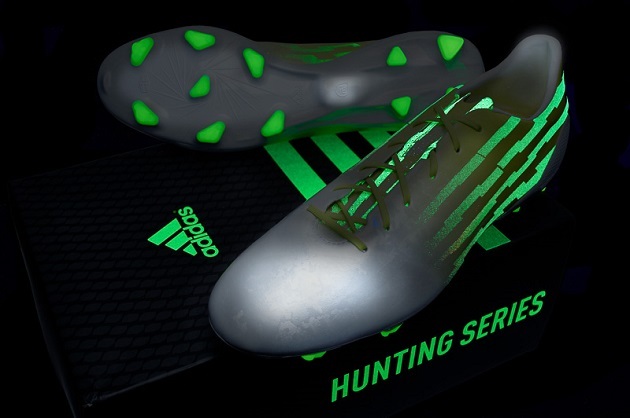 Adidas Hunt Pack: Crazy…like a Fox? There have been many inventions that caused the world to immediately respond with, “That’s brilliant! But, why didn’t I think of that?!? !” In the boot world, there have been a few of these moments within the past few months alone. 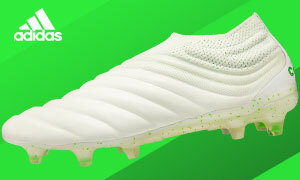 Puma’s mismatched boots, Ronaldo’s Gala CR7 boots, and making boots with patterns and uppers that seem painted upon the upper hit the world’s stage and had boot lovers the world over saying “Why had nobody done this sooner?” So, with adidas making a pack of boots whose main “draw” happens to be their “glow in the dark” uppers, is the world wondering why nobody did this before? OR, are they wondering why somebody actually did it? 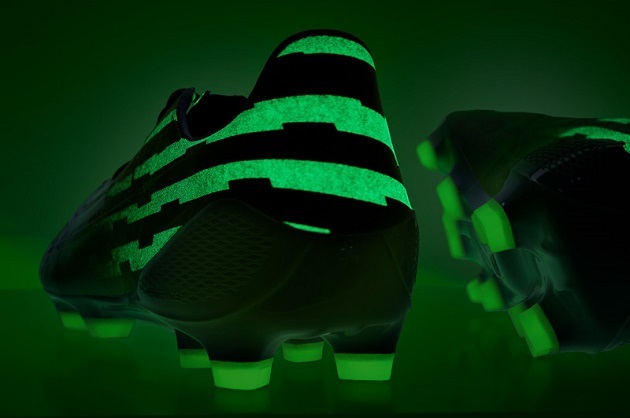 Having parts of a soccer product glow in the dark is not an entirely new idea. Glow-in-the-dark soccer balls have existed for years, Nike slapped a glow-in-the-dark sole on the initial indoor SuperFly, and there are even places you can go to where they play glow-in-the-dark soccer. However, (in my short-ish/faulty memory) nobody has taken the full-on plunge and painted up their entire line of boots to have glow in the dark patterns on the upper. Could this possibly be because soccer tends to be played under lights or during the light of day? Possibly. So, has adidas struck gold here or have they struck out? On the one hand, adidas has been seriously struggling to match the originality of their counterparts and match it in a successful manner. FlyKnit has been the standout addition to soccer this year and adidas are rumored to be hoping that 2015 is their year. 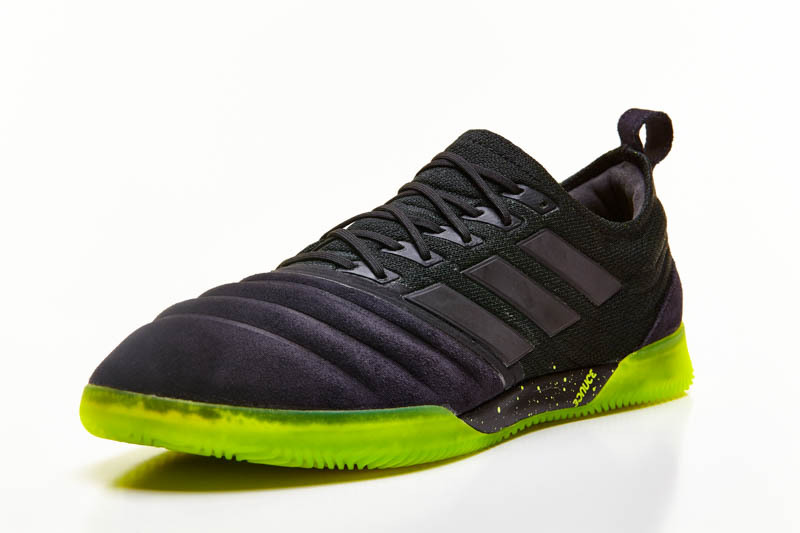 However, with 2014 still very alive and well, adidas seem to be hoping they can steal the last few glimmers of the year. With the new 11Pro rumored to be just around the corner, the “Hunt Pack” might be another move for adidas to bring the attention back to the three stripes. 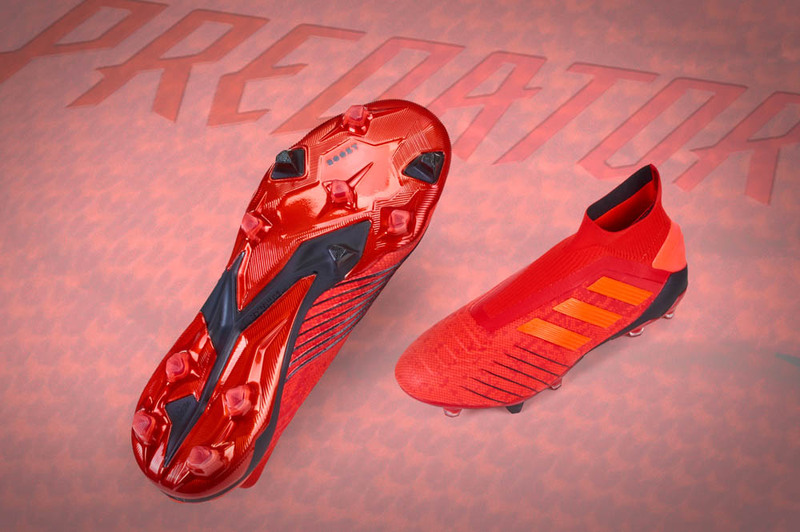 So, making their boots glow will certainly set adidas apart and will have many players hoping to snag something that is extremely different and noteworthy. Heck, how many people at your pick-up game can claim that their boots glow in the dark? 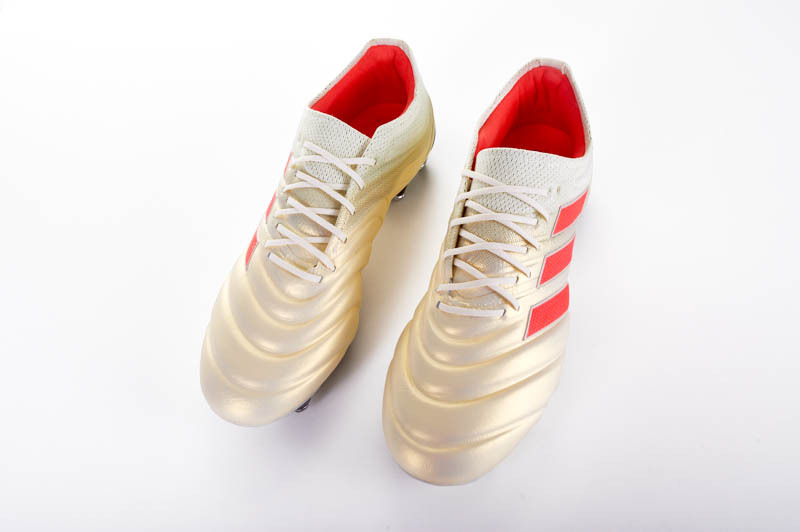 And, if you play the late game in your league, you will not be absolutely terrified when all the lights at the complex go out…because your boots will stand out like a glow-stick! Adidas is definitely crazy like a fox! However, we are talking about a sport that still spends 99.5% of its time being performed in well-lit circumstances. Luckily, the patterns on the boots are not too bad with the lights on, but if the main draw for you to purchase a boot is to have it glow…you may need to rethink your gear priorities. In terms of making soccer equipment glow, it would have probably served a greater purpose for adidas to slap this on lifestyle shoes or indoor boots. Odds are that your daily shoe choice or your indoor soccer shoes have a much better chance of spending some time in an un-lit area where their “glow” capabilities could shine than a pair of FG boots. It will be very interesting to see player uptake on a boot that (unless adidas organizes power outages in major stadiums) will never show off its biggest marketing point. Adidas is just plain crazy (but, it still might be a huge hit)!